Docker is a computer program that performs operating-system-level virtualization, also known as "containerization". Containers created with docker allow you to create isolated development environments on your system. These containers are also portable so you can easily move them from machine to machine and even share them with others. 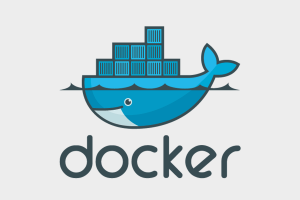 Docker has many more benefits which you can read about here on the official docker website. 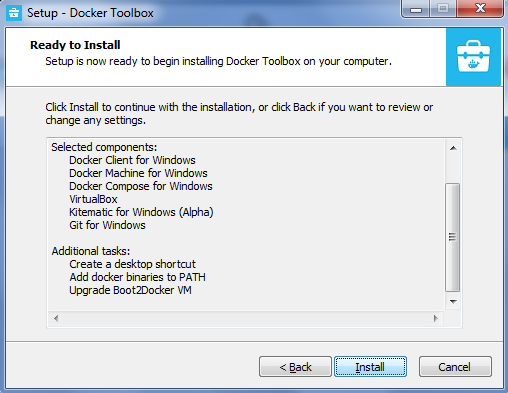 To install docker on Windows 7 you will need to download and install Docker Toolbox. You will need to be running a 64 bit version of Windows 7 and you will need virtualization enabled on your system. 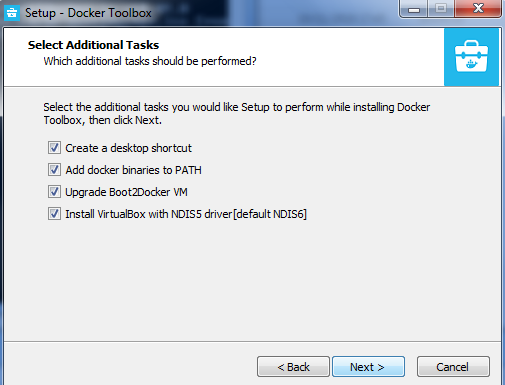 Download docker toolbox from the following link. 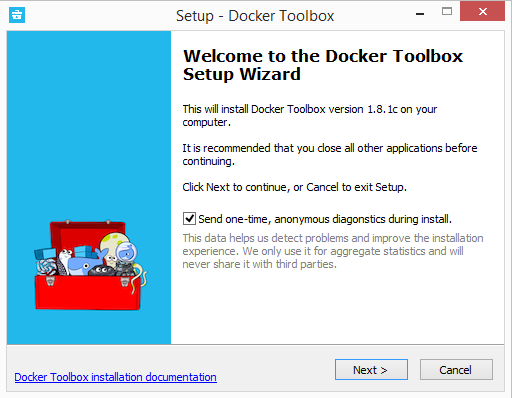 Double click the DockerToolbox.exe file and run through the wizard. Select the components you want and click next. Select all additional tasks and click next. 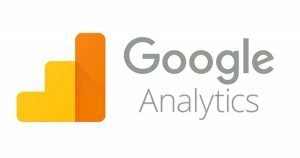 Review the install details and click install when ready. 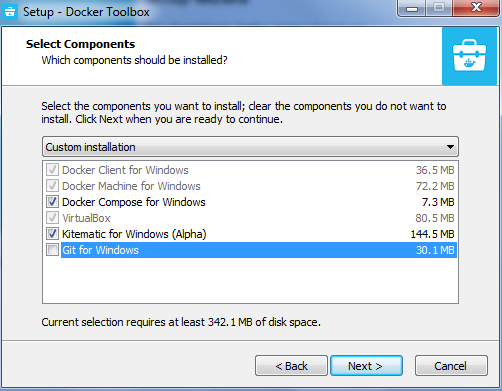 Once the install is complete look for the Docker Quickstart Terminal on your desktop and double click. A terminal will open docker configuration will start. This could take a while. Eventually you will see the following screen. The terminal runs a special bash environment instead of the standard Windows command prompt. The bash environment is required by Docker. 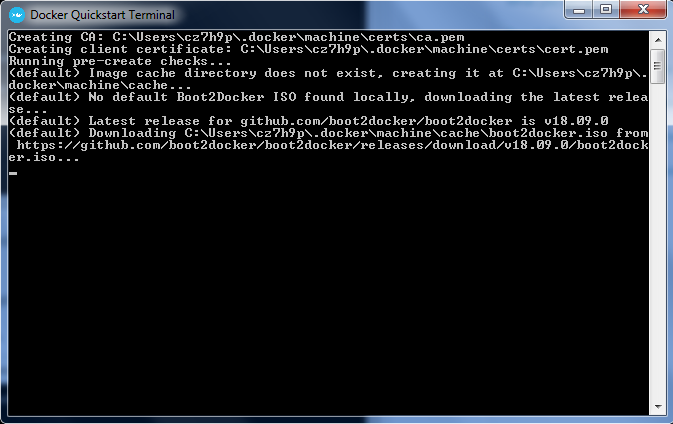 To confirm your install has been successful, type the command docker run hello-world. If the install is good you should see the following output. That's it, leave a comment below if this worked for you or not.